Drummer From Another Mother är en semimodulär analog percussion-synt. Den har två oscillator med fyrkant- och triangelvågform plus White Noise-generator och extern ljudingång. 8-stegs sequencer med Pitch och Velocity per steg och givetvis Moogs klassiska Ladder Filter (4-Pole lågpass och högpass). 24-punkters patchbay gör den modulär och ett ypperligt tillägg till Mother-32. Precis som Mother-32 så har DFAM ett robust aluminium case med träsidor men kan även plockas ur lådan och sättas i ett Eurorack-system. 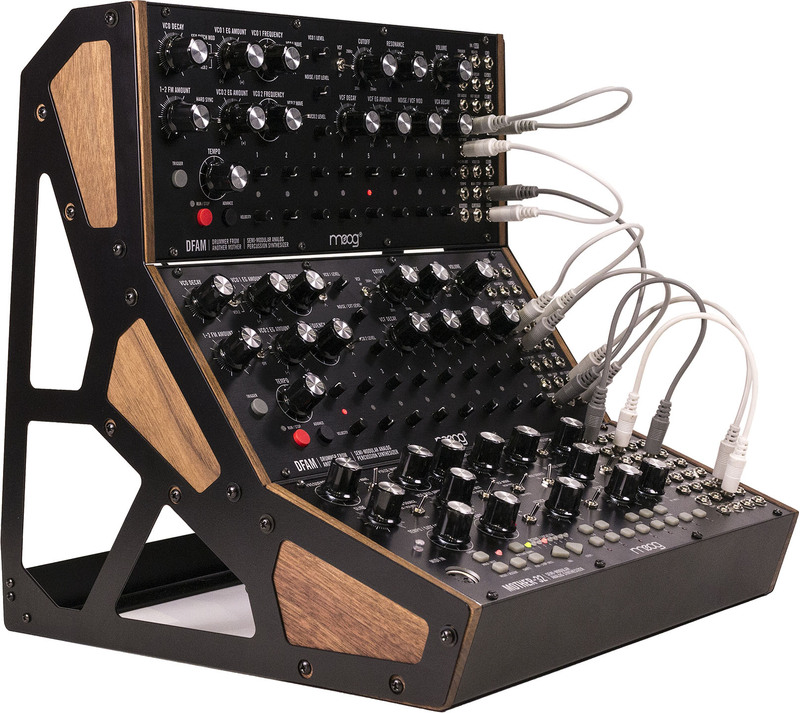 DFAM är handbyggd i Moogs fabrik i Asheville, USA. *Priserna är preliminära och inklusive moms. Kolla alltid vår produktdatabas för uppdaterade priser. 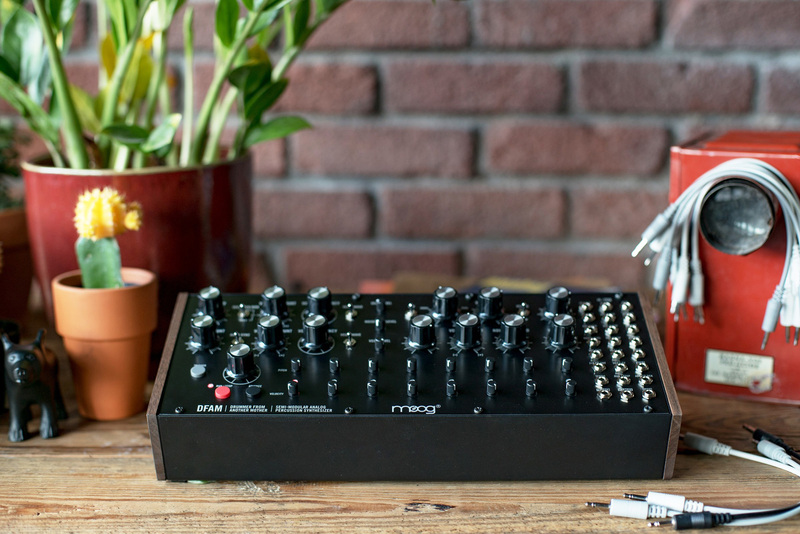 Each DFAM ships with a package of Moog patch cables that unlock access to the 24-point modular patchbay. 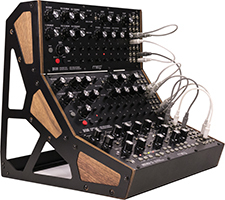 Use it to create new sounds or bizarre behaviors, synchronize an unlimited number of DFAM and Mother-32 units together, or fully integrate your analog instrument into a modular Eurorack production environment. Through exploration and experimentation, the vast potential of this expressive analog instrument is realized. 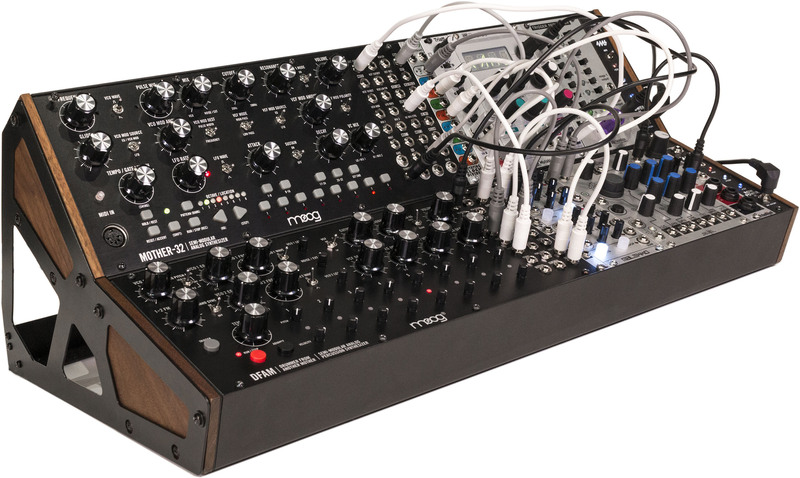 – SEMI-MODULAR: No patching required. Anyone can create unique and impactful analog rhythms. – 100% ANALOG: Unbridled sonic flexibility for a lifetime of percussive inspiration. – 2 OSCILLATORS: Ultra-wide range sound generation – craft everything from subtly pulsing cadences to clangorous cacophony and floor-splitting bass. – SELECTABLE ANALOG FILTERS: Dynamically sculpt your sound with a Low Pass or High Pass Ladder filter. – 3 ENVELOPES: Interact dynamically with velocity to impart “human” variation to your sound. – 8-STEP ANALOG SEQUENCER WITH VELOCITY: Vibrantly continuous control over each note. – 24 PATCH POINTS: Explore modular patching or connect to a Mother-32 to create a 3-oscillator leviathan. – LINK MULTIPLE UNITS: Rack up multiple DFAM and Mother-32 units for evocative analog compositions. – PATCHBAY INPUTS: Trigger, VCA CV, Velocity, VCA Decay, External Audio, VCF Decay, Noise Level, VCO Decay, VCF Mod, VCO 1 CV, 1→2 FM Amount, VCO 2 CV, Tempo, Run/Stop, Advance/Clock. – PATCHBAY OUTPUTS: VCA, VCA EG, VCF EG, VCO EG, VCO 1, VCO 2, Trigger, Velocity, Pitch.